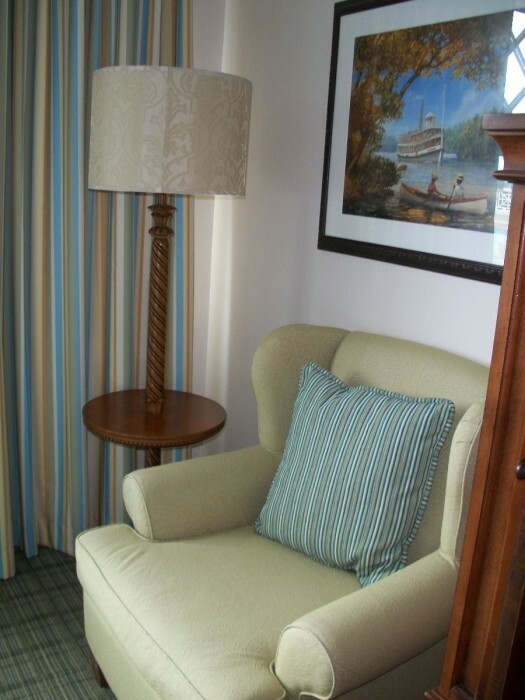 While Disney World offers a vast variety of different resorts to choose from for guests staying on property, the Disney Vacation Club (DVC) Villas offer even more options and experiences, particularly when it comes to room sizes! During my last few trips to Disney World, I had the opportunity to enjoy stays at several different DVC Villas; but today, I’m zeroing in on Disney’s Saratoga Springs Resort and Spa in this review of a Saratoga Springs Two Bedroom DVC Villa. 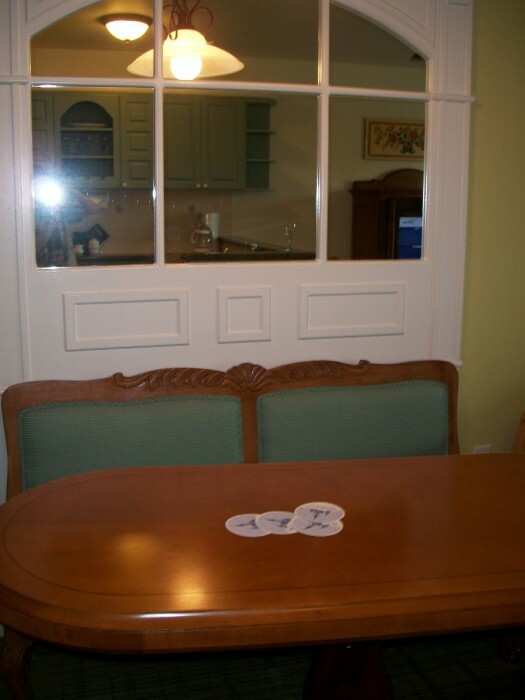 My family and I booked a two bedroom villa at Disney’s Saratoga Springs Resort and Spa this past summer. 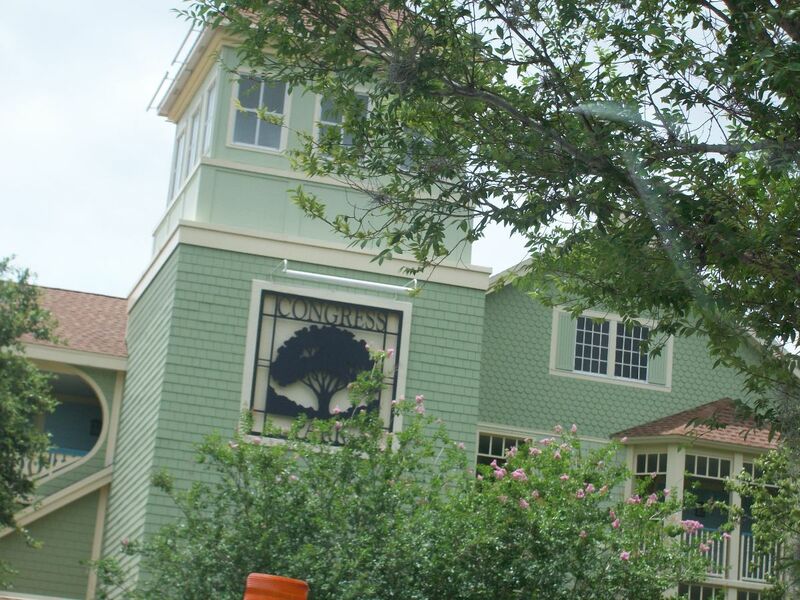 This particular resort is located right across the water from Downtown Disney and offers an upstate New York, equestrian theme, as well as a wide selection of DVC Villas to choose from. The smallest villa offered at Saratoga Springs is a Deluxe Studio which sleeps up to four adults. It’s similar to a standard resort room, just with more amenities. Saratoga Springs also has one bedroom villas which sleep up to four adults and the two bedroom villa which sleeps up to eight adults. 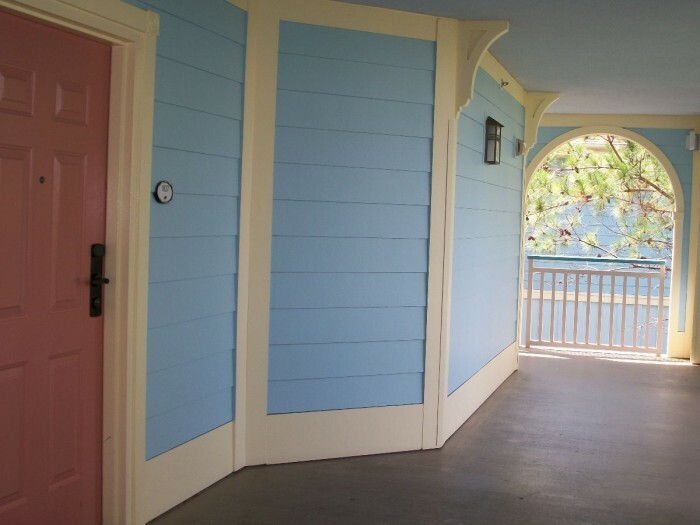 There is a Grand Villa, which sleeps up to twelve and is like a mini-house; but the most famous villa at Saratoga Springs has to be the Treehouse Villas, which no other resort at Disney World can claim. These unique villas sleep up to nine adults and offer a totally unique experience! 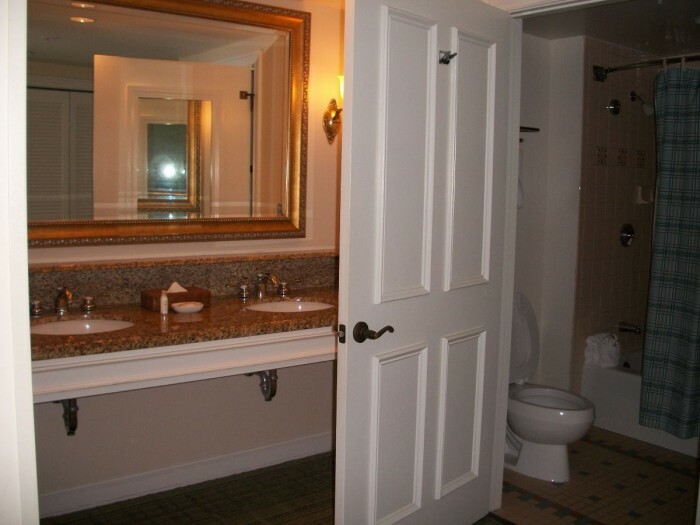 My family and I had never stayed at Saratoga Springs or in a two bedroom villa before. Naturally, we were thrilled for the chance to check out this resort and enjoy the spaciousness of a two bedroom villa. After check-in at the Carriage House, we drove over to our section of the resort, Congress Park, which happens to be one of the closest sections to Downtown Disney. The close proximity to Downtown Disney was a perk, but the downside was that we were so far from the rest of the resort. In fact, the layout of Saratoga Springs, while beautiful, was very spread out and confusing. If we didn’t have a car, catching a bus to and from the different buildings or the High Rock Spring Pool would’ve made for a less than satisfactory experience. This was the door to our villa at Congress Park. The color scheme of the buildings was light and cheery and we had this whole corner of the second level to ourselves! Our door opened into a small foyer where one hallway branched off to the first bedroom while the other led into the kitchen and living room. Where to go first? Let’s check out the bedroom! This bedroom was laid out just like a standard resort room with two queen size beds, a table and chairs, an entertainment center and dresser, and an attached bathroom. The colors and dark wood beds gave the room a vintage, refined feel. I must say, from my own experience, the beds were very comfortable; but the whole design of the room felt a little stiff to me. Also, I guess I was expecting something a little different from this bedroom, instead of the standard layout and design of a standard resort room. I learned later that this particular two bedroom villa was a “lockout” which means it’s a studio-sized room plus a one-bedroom villa put together. I suppose this is more economical for Disney; but I must admit that I was expecting something more. This was the view from the bedroom window. Pretty impressive, right? I loved seeing the balloon from Downtown Disney throughout the day, as well as the manicured grounds that fits the trim and regal feel of the resort. Here’s a look at the first bedroom’s bathroom. The double sink offered lots of space, but the rest of the bathroom was just average and even a little cramped. 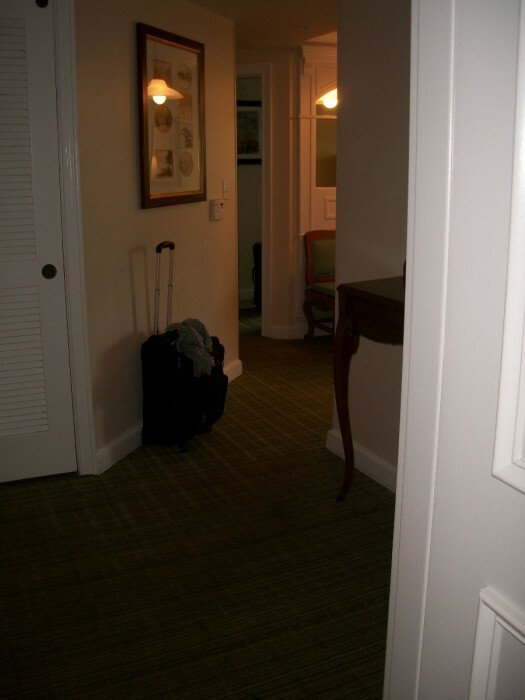 However, across from the bathroom was a large, spacious closet that held all our suitcases, shoes, and anything else we accumulated during our stay. So this is was our villa’s kitchen! I have to admit, I’m not a huge fan of the color scheme; but it’s an absolute luxury to have your own kitchen at Disney World. Why? Well, for those who enjoy cooking or who are on a budget, Disney provides almost everything you need to whip up a tasty meal. For instance, our kitchen came with a large refrigerator, a microwave, oven and stove, dishwasher, coffee pot, and toaster. Also, silverware, cups, plates, and even wine glasses were included, along with dishwasher powder, paper towels, coffee, ice cube trays, a few pots and pans, and more. The only thing missing was the food! 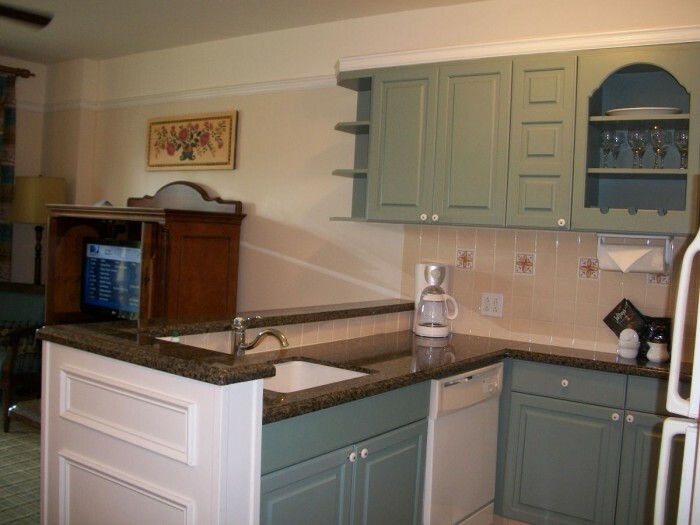 Be aware that the items provided in your DVC kitchen can change without notice. If you’re curious about what you might need during your stay, give a call to your resort for a current list. On the other hand, if the last thing you want to do on vacation is cook, having a refrigerator and microwave is still a plus so that you can bring back snacks and leftovers to enjoy later. Just so you know, leftover Zebra Domes make the perfect midnight snack! On the other side of the kitchen counter was this cute, little breakfast bar with a Hidden Mickey! Some adults might have a hard time squeezing in here; but it’s great spot for kids and does offer extra seating that’s out of the way, especially since there isn’t an actual dining room table and chairs in the villa. This is the living room entertainment center, complete with DVD player. 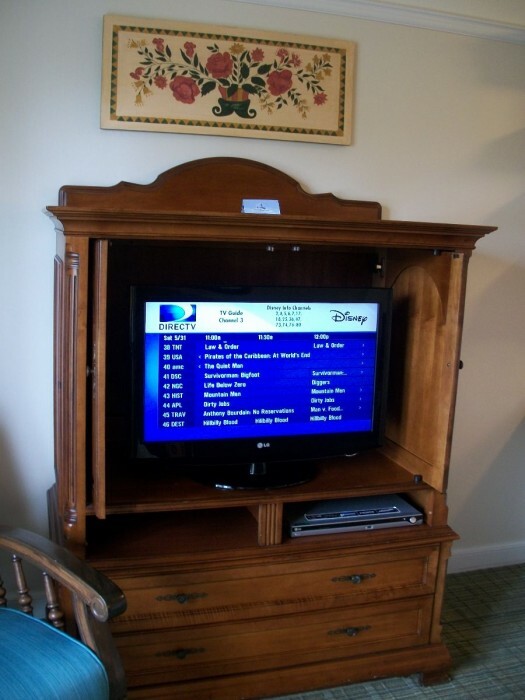 That’s an amenity you don’t find in most standard Disney resort rooms; and since there’s a microwave only a few feet away, it’s the perfect set-up for a movie night! Didn’t bring a DVD? Most Disney Resort gift shops have Disney movies in stock for you to purchase. The living room couch was not only comfy, but it also doubled as a sleeper sofa and had throw pillows showcasing a few famous Disney horses. It was a fun detail and I was glad to see a few Disney touches in our living space. Tip: When checking in at the Carriage House, look for the gallery of famous Disney horses! As I already said, a two bedroom villa doesn’t have a dining room table; but we did have a built-in bench and table facing the kitchen where we spread out our park maps to make our plans for the day. There was also a handy outlet nearby to charge our laptops and phones during some of our downtime. One of the best things about staying in a villa is the luxury of having your own washer and dryer! If you’re one of those moms who has hauled bags of dirty laundry to and from your Disney Resort laundromat, and then wasted valuable vacation time waiting for your loads to dry, then you know how valuable this amenity truly is! Tip: Disney does provide detergent, but their small box doesn’t go far. If you plan on doing more than one load and have a family in tow, I suggest you bring your own. Also, DVC Villas do not offer housekeeping every day if your reservation is booked using DVC points. Let me explain. If you are staying seven nights or less, you will receive towel and trash service on the fourth day. So this means you won’t get clean towels every night like you would in a standard resort room. 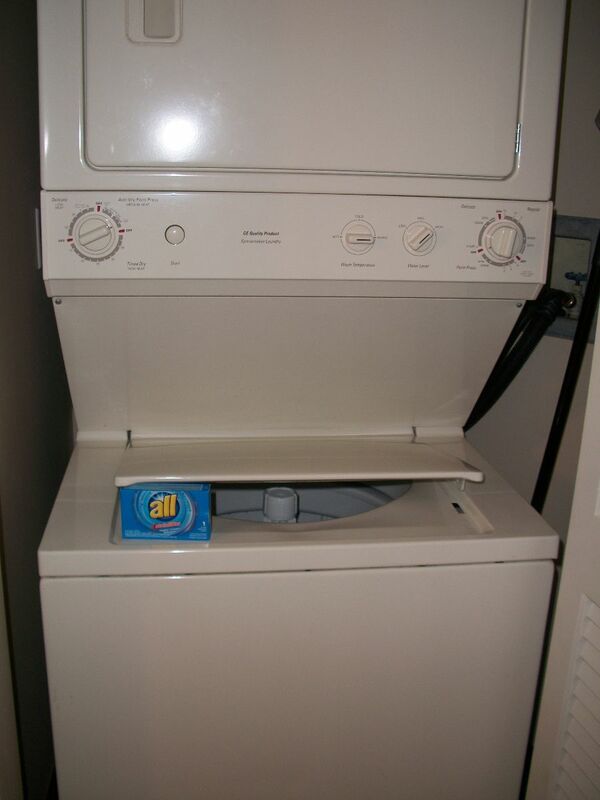 If you’re like us, you probably will want to wash towels a time or two before that fourth day rolls around. For us, not having housekeeping was somewhat of a downside, even though this policy is universal for all DVC Villas. It’s definitely something to be aware of if you have booked a stay at a DVC Resort. Let’s take a look at the balcony, shall we? While not huge, there is room for two chairs and a table, plus a little more space to spare. 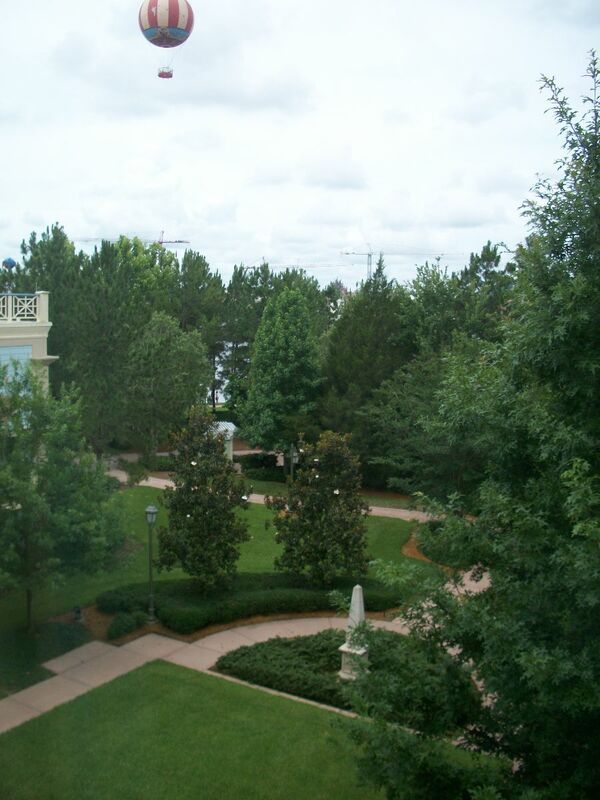 Our room had a woods view, but we could see a little bit of Downtown Disney from here and the lush, manicured grounds. 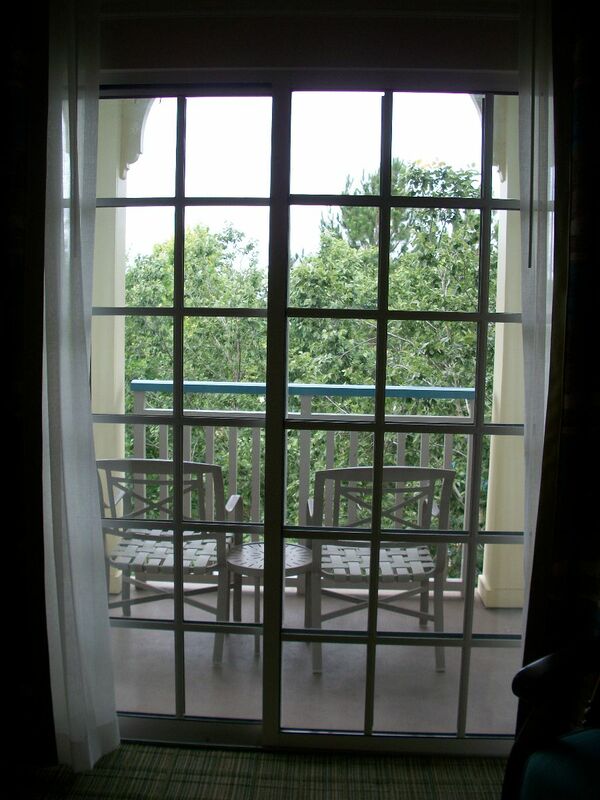 As our villa was located in Congress Park, Downtown Disney was only a short walk away. I would often walk over to Downtown Disney’s Starbucks for a coffee first thing in the morning, or to use their bus stop since, at least during my stay, Saratoga Springs’ bus stops were a little on the slow side. I always like to study the curtains and bedspreads at the different resorts at Disney World because Disney is known to reference their resort’s themes or even hide Disney characters in the patterns. 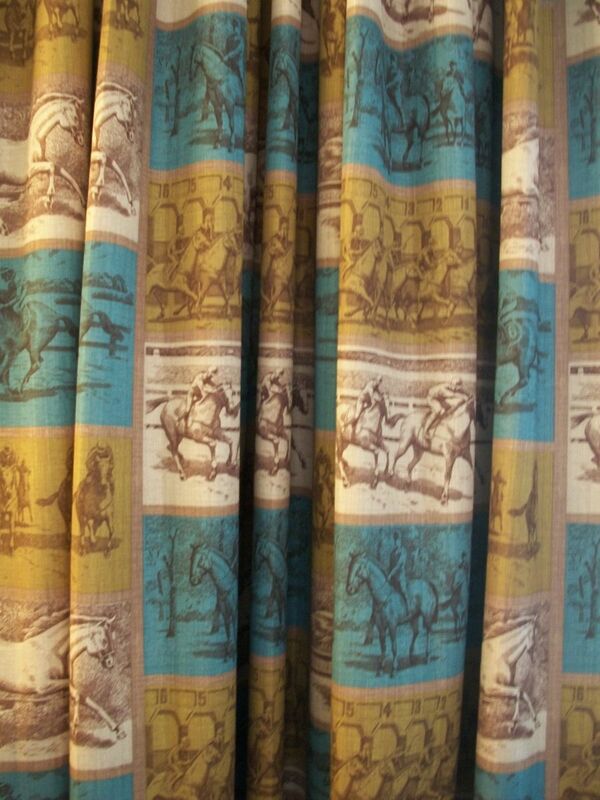 While Saratoga Springs curtains did evoke the refined, equestrian style of the resort, I found them to be a little on the boring side. What do you think? 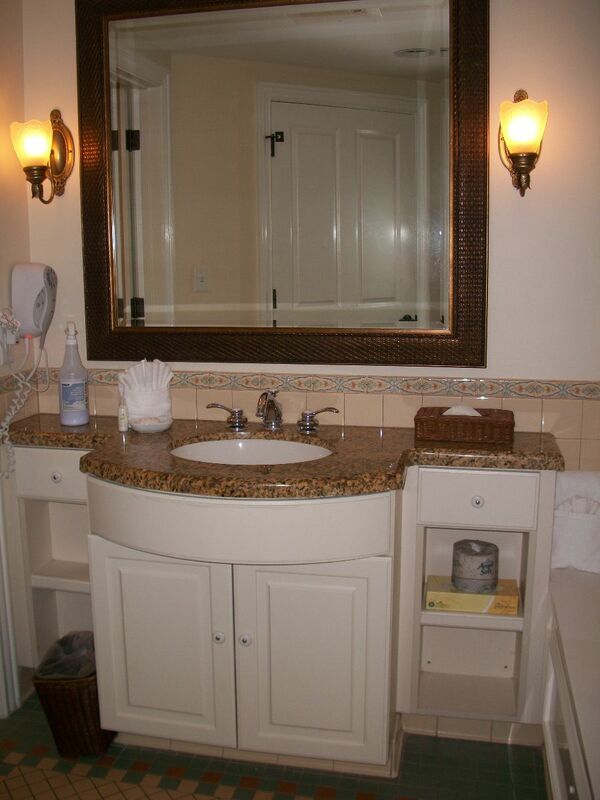 Moving on to the master bathroom, I have to say that my favorite thing about it is that different sections are closed off from one another and that there are two sinks! For instance, a pedestal sink, toilet, and shower are in one room, while a large sink and Jacuzzi tub was in another. It got a little confusing with all of those doors, but here’s why this layout is so great. If you have more than one person trying to get ready in the morning, privacy and extra space is a big plus and a real luxury. Also, if you’ve done the math, this means that a two bedroom villa has three sinks, two showers and a Jacuzzi, and two toilets. Unless you’re bringing a big crowd, you shouldn’t have to wait in line in the morning to get ready. Now that is truly magical! Isn’t this the perfect remedy after closing down a park? 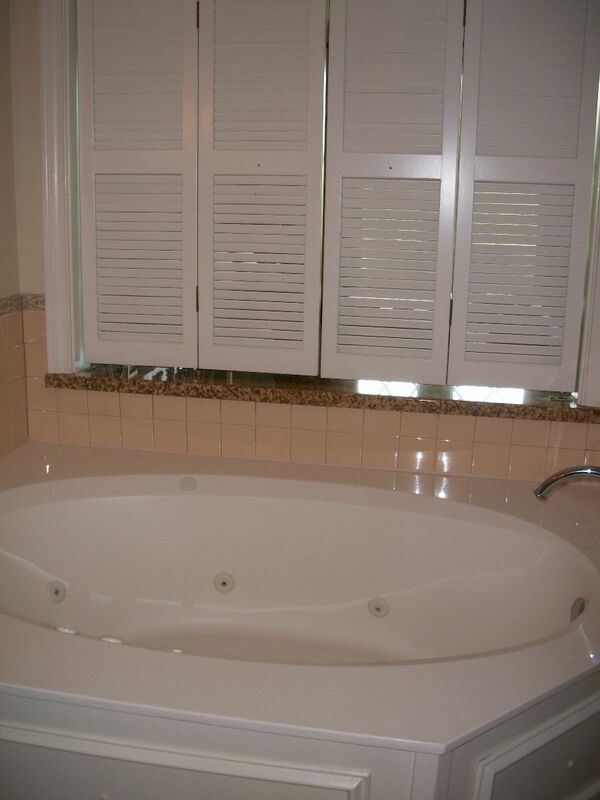 This Jacuzzi tub was my favorite thing in the master bathroom and it has shutters that open to the master bedroom, or close for privacy. So here’s a glimpse at the master suite which features a king size bed, a writing table, a chair and floor lamp, and a dresser and television. Don’t you just love this tranquil shade of blue? I also have to point out the windows and all the natural light flooding in. The effect was very calming and relaxing. Seeing the Mickey towel on my bed when I first arrive never gets old! Overall, our two bedroom DVC Villa experience at Saratoga Springs was positive, but I can’t say that it blew me away. The room was comfortable and spacious, but the overall style was a little cold and the layout of the resort made us feel separated from the resort itself. 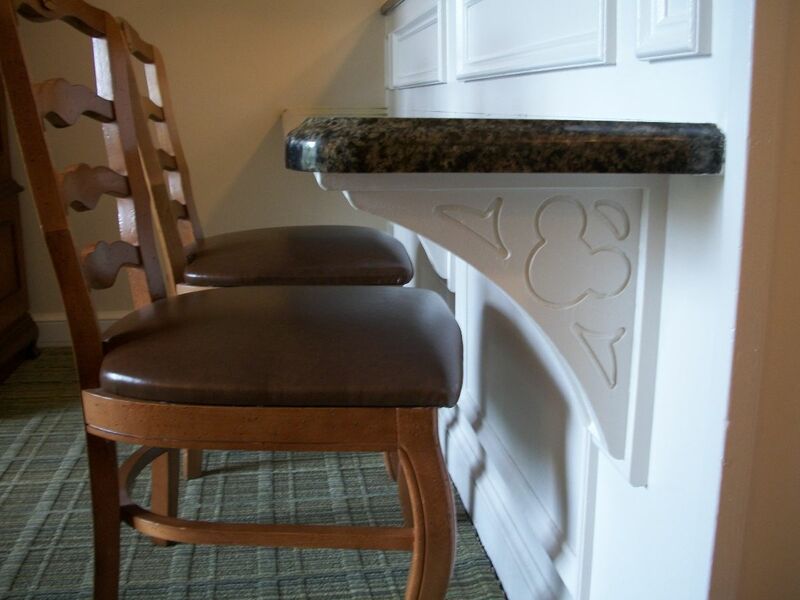 Also, the extra-magical touches you typically find at other Deluxe Resorts on Disney World property seemed to be lacking a bit here. This is probably because Saratoga Springs is designed to be a strictly DVC Resort, where families are typically more independent. Have you ever stayed at Saratoga Springs? 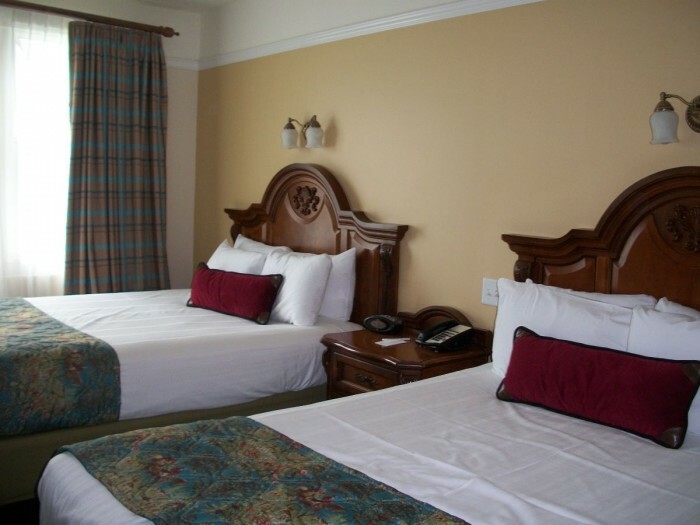 How about in a two bedroom DVC Villa? What was your experience? Thorough review! We have stayed in a 2br at Saratoga springs, congress park too! It had plenty of room for us even though it is notorious for being the smallest DVC 2br square footage-wise. I just want to add that unless things have changed if you book book through Disney as a non-DVC guest you do get daily mouse keeping and replenishment of things like laundry detergent. Echoing Bella’s comment – my wife and I also stayed in the Congress Park section of SSR about eighteen months ago and had a pleasant stay. At that time, non-DVC guests got daily housekeeping. All of the conveniences and the design features that Savannah mentioned make this a welcome change from the sometimes In-Your-Face themeing guests experience at some of the other WDW properties. Did I fail to mention that we didn’t bring any other family members on that trip? Very relaxing, and we did what WE wanted to. How timely! 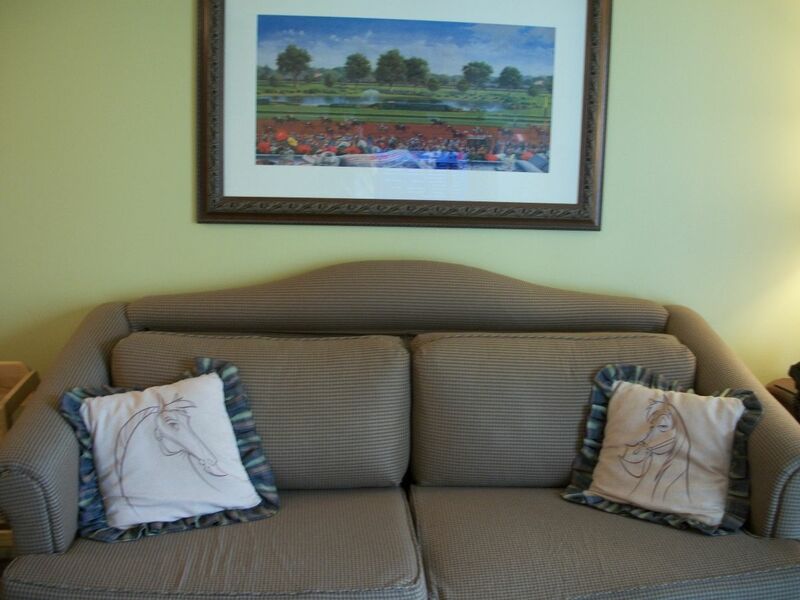 We will be in a 2-bedroom at SSR in Congress Park (with a car) in just a few weeks! I’ve heard there is a new pedestrian bridge to Downtown Disney. How long was the walk from Congress Park to Starbucks? Hello, Erin! The walk from Congress Park to Starbucks was about 10, maybe 15 minutes, depending on your pace. It’s a great convenience, especially with all there is to see on your way! 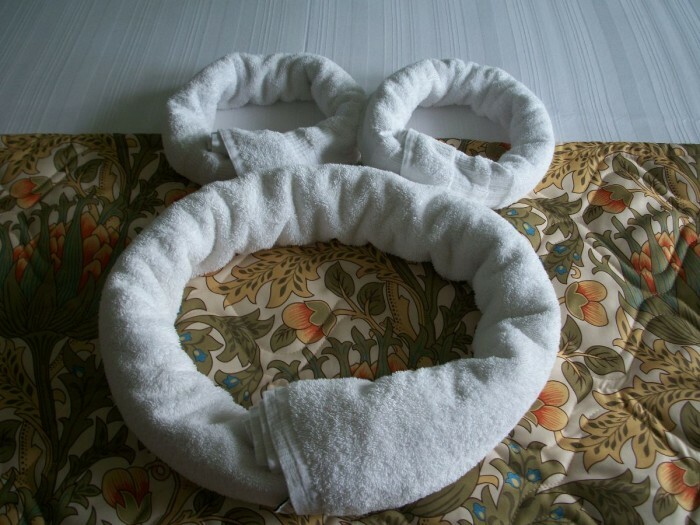 A couple quick notes on DVC housekeeping. As Pete pointed out above guests staying on cash get daily housekeeping, and DVC must keep at least 2% of the timeshare available for cash stays by Florida law. They can also book rooms for cash 30 days out if they aren’t booked by members at that point, or if members have done RCI or other exchanges, or if DVC itself owns the points. If you paid cash and don’t get housekeeping call front desk and let them know. It is also possible to purchase extra housekeeping if you’re staying on points. Rates vary by room size, but I think a 2-bedroom full clean runs about $60 and a trash-and-towel is about $25. Personally I would rather not have the extra cleaning. One of the nice things about having a large villa is the ability to kick back and relax in the room. Not worrying about a cleaner needing access to the room is a bonus for me. 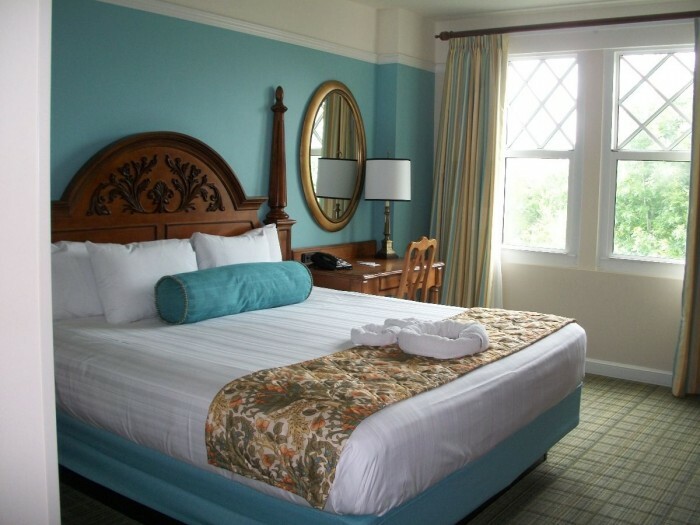 When choosing between a 2 BR at SSR or OKW, I always pick OKW because the rooms are larger and the layout is much better. But at least SSR gets the job done. We will be staying Ina 3 BR Grand Villa at SSR on two weeks – it will be interesting to see how we like that. Haven’t been in one since our DVC “tour” four years ago. Oh yes! OKW is huge compared to SSR. If I need to sleep people in the living room I will always choose OKW over SSR. I am hoping to try out a treehouse on my next SSR stay. We stayed in a Studio at SSR near the main building a few years ago. I remember thinking that I was glad about our location as it made it easy to walk over with our refillable mugs. Not sure we would have gotten refillable mugs if we were farther away. I think location is a huge factor on your enjoyment of this resort. Also, you do not have to purchase a DVD. The Community Hall at DVC resorts rents DVDs. They are free to DVC members, and a small charge for non-members. Great review! We have never stayed at Saratoga, but now more than ever, we plan to!